IT already boasts more Michelin stars per capita than anywhere else in the world. 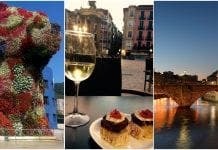 Now San Sebastian has sealed its reputation as a ‘must visit’ for foodies after being voted the world’s greatest gastronomic destination. The unassuming Basque city saw off stiff competition from cities including Tokyo, Paris and New York to claim the honour after being praised for its ‘astonishing food scene’. It was chosen by a panel of travel writers and food critics, who gave each destination a score in 30 different categories, as part of a survey conducted by consumer group Which? 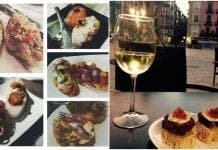 San Sebastian scored 81 out of 100, with its food scene described as ‘fiercely distinct, passionately produced and on the gastronomic cutting edge’. The panel also acknowledged that ‘its innovative chefs wield enormous influence over culinary trends all over the world’. And it is little wonder. Among those plying their trade in and around San Sebastian is Elena Arzak (left), voted the world’s best female chef in a prestigious poll last year. 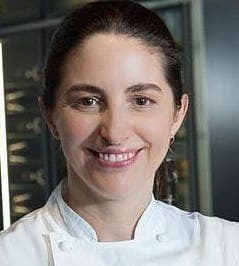 The talented cook runs the self-named Arzak restaurant along with her famous father Juan Mari, while Martin Berasategui and Pedro Subijana make up a quartet that share a staggering nine Michelin stars between them. But despite being famed for its top end restaurants, the city was also praised in the survey for its range of affordable restaurants serving good, local food. 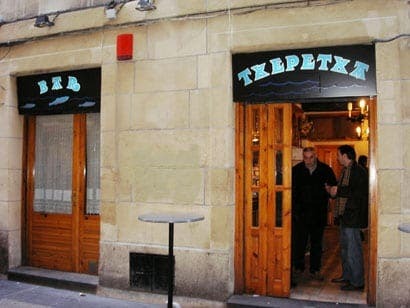 The Basque region is well-known for its pintxos, similar to tapas, which can include snacks such as tiger mussels, foie gras with figs and grilled baby squid. Here the Olive Press gives a breakdown of the best of what San Sebastian has to offer. A nice list of names to whet my appetite.